Place all ingredients in blender beginning with water and ending with ice. Do Not add protein powder just yet. Turn your Vitamix blender on Speed 10 and High. Blend for 60 seconds or until completely smooth. Now turn blender on Variable and take plug out that top of container to add protein powder (optional). While blender is still on our powder down center of funnel. Blend for an additional 15 seconds. Take speed done to 1 and turn off blender. 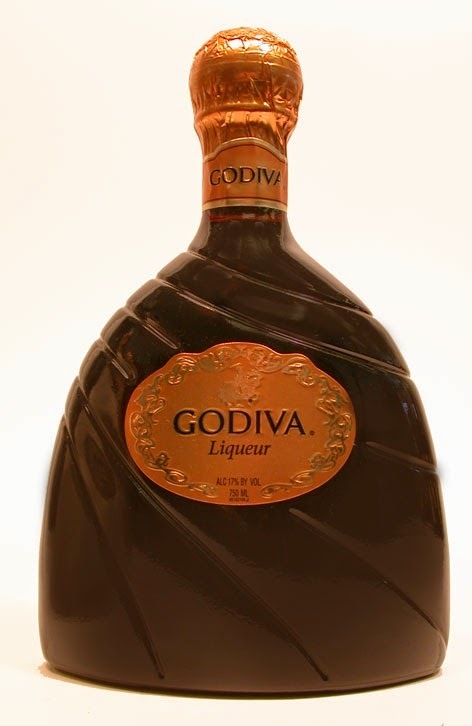 Pour in glass and Enjoy!!!! Get bragged about! This bold blend of herbs and spices will have the whole family oohing and aahing at the dinner table. 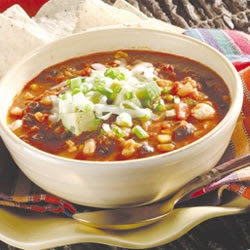 Used exclusively by Vitamix demonstrators for Tortilla Soup and Salsa. Specially blended for Perfect Soup everytime! No guess work! 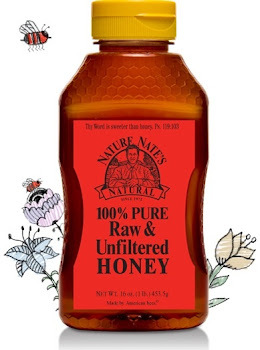 I choose to partner with Naturer Nate's Honey because its just as its says "Raw & Unfilitered". Raw and Unfiltered honey is honey the way nature intended. Raw means the honey is very close to the condition of the original hive honey. Unfiltered means that it is minimally processed and not heated above 120 degrees because after all, Mother Nature’s honey already has the best flavor, aroma and nutrition, just naturally. If variety is the spice of life, then it shouldn't stop when it comes to eating healthy. My company name "Living Life Golden.com and .org" is not by coincidence. It's truly how I live my life...."like it's golden". The Recipes I create allow you to incorporate the whole fruit and vegetable into your diet, while allowing you to enjoy a delicious variety of servings options, including Meal Replacement Smoothies, Power Drinks and Gourmet Super Shakes. 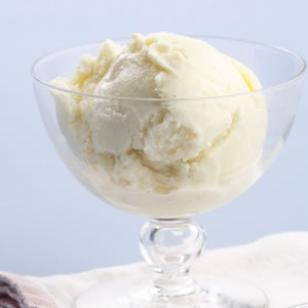 I've also created some nutritional Sorbets, Sherbets, Creamy Ice Creams and Healthy Deserts that will make you the Starr at any Entertainment party. All my Signature Recipes are recipes I've created. They are Originals. Rather than coping the recipes and passing them along, please feel free to invite friends and family to come take a look and follow my blog for more up to date postings. Blend on 10 speed and ramp up on High for 45 seconds. Listen for sound of mâchine to insure there is something spinning on blade. If there's a loud whistle sound then use tamper to push ingredients down on blade. You will see 4 mounds or pillars beginning to form in each corner to let you know the ingredients are frozen and sorbet is ready. Ice (optional)-only if drinking full container right away. 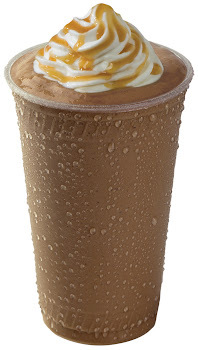 If not blend without ice and place in fridge until desire. Aways start machine in off position, on Variable and level 1. Place water and all ingredients, including optional ingredients, if desired in Vitamix 5200 and secure lid. Turn machine on, then immediately to speed 10, and High for approximately 60 seconds or until it looks beautiful, glossy and green. If desired consistency is not reached allow to blend for another about 15 more seconds. "Why would I have a V8?" Place all ingredients in the Vitamix 5200 in the order listed and secure lid. Select variable 1. Make sure machine is on 1 and Variable, then immediately ramp up to 10 and High. Blend for 15 seconds to insure all ingredients are blended. 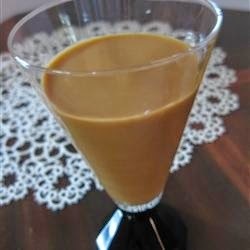 This drink can consumed anytime of the day for energy and a pick me up! Blend well. No need to de-core any of the fruit. Only take hill from pineapple. Everything goes in Vitamix as is. Also add liquids first and Ice last. **Kale is a form of cabbage and related to broccoli, cauliflower and Brussels sprouts. Kale is very low in calories and contains more nutrients than most greens. Kale is an excellent source of vitamin K, which is essential for bones and blood health, and helps by mediating coagulation and anticoagulation. Sulforaphane is a chemical found in kale and sprouts and broccoli. There’s a study published in the Drug Discovery Today Journal found that sulforaphane may help stop breast cancer cells from growing. 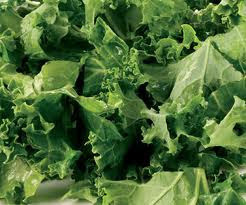 The University of Texas also conducted a sty and found that a diet rich in kale may prevent bladder cancer by up to 29%. Kale may also help with ovarian cancer too. The Nurse’s Healthy Study Journal observed that women whose diet provided the most kaempferol, a flavonoid found in kale, had a 40% reduction in risk of ovarian cancer. By supplying the body with plenty of calcium, copper and magnesium, kale may help absorb iron and prevent bone loss. This smoothie provides twice the daily requirement of Vitamin a and seven times the recommended amount of Vitamin K. Drink for better bones, help your heart and improve your immune system. Pear these delicious by bitter leaves with pear, green grapes, an orange and a banana, and you get a surprisingly sweet smoothie, that is amazingly loaded with nutrition. Add ginger for a zest of energy. 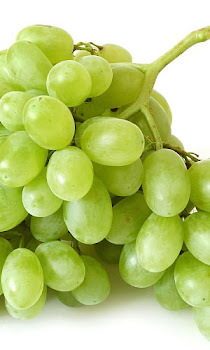 Green grapes help improve circulation and prevent blood clot-and the seeds contain protective flavinol compounds that fight free radicals and repair connective tissues. Oranges protect against colds, flu, heart disease and strokes with a big vitamin C immune boost. Bananas are the norm for a smoothie staple, but they are packed with cholesterol calming potassium. Direction: place all ingredients into container and secure lid. Select Variable speed 1 then immediately go to 10, then click to High for 60 seconds. Turn speed back to 1 and High to Variable. Turn machine off. 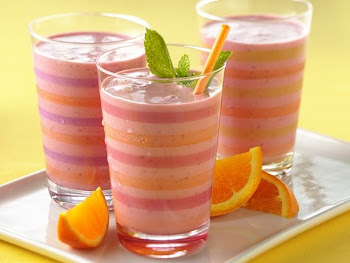 These smoothie’s are recommended for a burst of energy and nutrition that helps me throughout the day. These smoothie’s are low in fat, low in sodium, low in sugar, low in cholesterol, heart healthy, glutten-free, vegetarian, vegan and raw! Blend High, speed 10, 60 seconds. ***If you use frozen fruit then eliminate the ice. A green smoothie looks so gorgeous! It’s green and fresh – you just know it’s good for you. The sweetness of the fruit completely masks the natural bitterness of leafy green vegetables. The more you add of the leafy green vegetables to your diet with a green smoothie, the more you’ll crave them. Vitamix processing is the only way to get a consistently smooth, creamy and delicious green smoothie. Follow me for more recipe’s and tips to a cleaner, greener YOU! 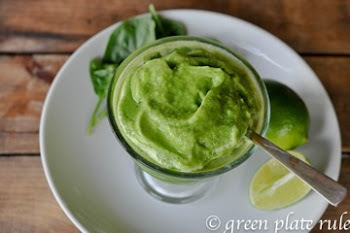 · A green smoothie looks so gorgeous! It’s green and fresh, refreshing, you just know it’s good for you. 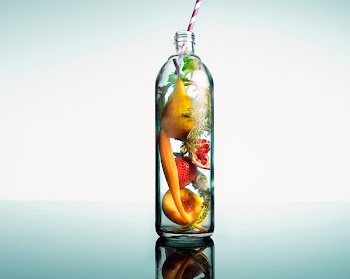 · The sweetness of fruit completely masks the natural bitterness of leafy greens in a green smoothie. · The more you add leafy greens to your diet with a green smoothie, the more you’ll crave them. 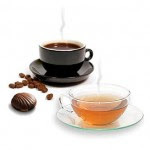 · Instead of using sugar substitutes, use dates as a natural sugar sweeteners. · Vitamix processing is the ONLY – BEST way to get a consistently smooth, creamy and delicious green smoothie. 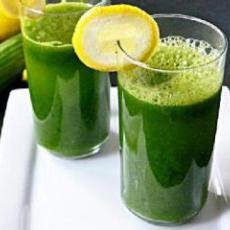 Green smoothies are not only a unique color they also have lots of nutritional value. Made with fresh leafy green vegetables that are loaded with antioxidants and vitamins, green smoothies are an excellent way to enjoy delicious drink that satisfies hunger and offers maximum nutrition. 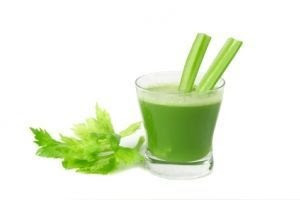 Because of all the delicious fibers in that you are eating (unlike juicing), green drinks will also curb your appetite and give you a sense of fullness. You may think that turning leafy greens into a smooth, beautiful green, sweet delicious drink can be a bit of a challenge-and it is- for any kitchen appliance other than the Vitamix Whole Food Processor. The Vitamix Whole Food Processor has the unique ability to break right through the cell walls of any green vegetable you challenge it with, including collard greens. Turning it into a green smoothie, that is smooth, thoroughly, NOT chunky. 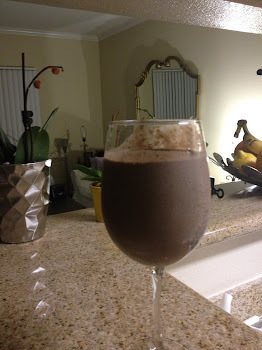 Vitamix processing releases fabulous flavor, delivers a drink that is amazingly smooth and creamy, and makes the valuable nutrients more bioavailable. I said it once and I will say it again, leafy green are packed with nutrition. They are a great source of non-dairy calcium, magnesium and vitamin C. They also contain carotenoids that may help protect against macular degeneration and folate to guard against heart disease and cancer. As good as greens are simply chewing them is not enough. Cooking them can decrease their nutrient value. When fresh, whole foods are taken down to the cellular level by the Vitamix, the nutrient become readily available to nourish the body. Working at a high speed, the Vitamix stainless-steel blades and precision-designed container creates green smoothies in 60 seconds or less, keeping oxidation to a minimum. There’s nothing quite like a green smoothie made in the Vitamix Whole Food Processor. When I started this journey back in October 2011 in my first quest at running in an official Race of my life, I had no idea what to expect. I wass there along with hundreds of others, some competing, some veterans and some like me were there for the first time. I realize that if I’m going to continue to do this I must “run for a cause”. I ran my first race in November 2011 and been "running for a cause" ever since. Now "my cause" is the Crohn’s and Colitis Disease Association. I will be running my first Half Marathon race on December 2, 2012 in Las Vegas, Nevada. In this race the monies raised go to further research for this disease in finding a cure . I’ve included an insert about this disease to give you more insight. I have since met several people whom have introduced themselves to me since learning about my adventure. I will list their names, bio's and a photo as we get closer to the race date. Crohn's disease is the result of uncontrolled inflammation of the intestines and is quite diverse, to depending on the location of the inflammation and the severity of the disease. The most common location for Crohn's disease inflammation is the last portion of the small intestine, at the junction where it joins the large intestine, but Crohn's can involve any portion of the intestinal tract. Depending on the location, symptoms vary significantly, from diarrhea, bleeding and pain to no symptoms at all -- but the disease instead can manifest as anemia, malnutrition or failure to grow and to develop appropriately. Many patients with Crohn's disease are diagnosed in their teenage years or young adulthood and have a milder and more limited form of the condition, which is managed easily with available safe and effective therapies. For those with more significant inflammation, more extensive bowel involvement, or the consequences of malnutrition or delayed growth and development, there have been substantial improvements in our treatments and our ability to monitor their effectiveness, and we have now entered an era of much better disease control and improved outcomes. In the last 10 years, there has been an explosion of scientific discoveries related to the genetic and environmental causes of Crohn's disease. Now there is knowledge and tools necessary to be proactive with treatments that can stop disease progression, prevent relapses, avoid surgeries and significantly improve quality of life. As with other inflammatory diseases (asthma, rheumatoid arthritis and multiple sclerosis), early treatment and employing an effective maintenance strategy work much better than chasing symptoms and trying to catch up when the disease has progressed and caused damage. A continued effort is made to look for a cure for this condition, but in the meantime, patients with Crohn's and Colitis disease, and those who care for patients with Crohn's and Colitis Disease, needs to know that this is a time of immense progress, great successes, and hope for a better tomorrow. And for those who are living in fear and living with ongoing active disease, be encouraged to learn more, to be part of the exciting progress that is being made, and to seek out expert care and advancements in treatment, so that you can, win the battle against this disease. Several studies show that when a person diets on a very low diet, for every 10 pounds of weight they lose, 4-6 pounds can come from muscle. Muscle contains water, vitamins, minerals, electrolytes and amino acids. Therefore, when a persons diets too strictly, the body will dip into muscle to remove the nutrients that is required. Unfortunately, any loss of muscle will result in a reduction of your metabolic rate. Consequently, if a person diets too harshly they will lose muscle, strength, and their metabolic rate will slow down. Likewise, many people think as long as they exercise, they will keep all of their muscle. Think about it like this: if you under-eat and do not have enough fule to meet your daily energy requiremets, when you spend more energy by exercising, where will your body get the fuel it needs to perform the activity as well as supply your body with the required nutrients? You guessed it, your muscle will have to hand over the nutrients needed. 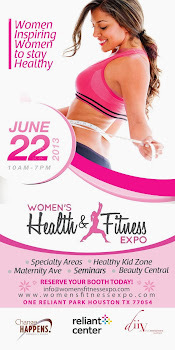 Consisent, proper eating, dieting and exercising are important. Up and down in your weight from month will eventually take it's toll on your body. You will ultimately gain more weight each time this happens. If the numbers don't increase on the scale they will increase in your BMI and your body fat. You must maintain a set point weight for a six to nine month period in order for your body to remember it's new set point weight. Nutrition is important! Not eating enough is just as critical as eating too much. Waiting too long to eat is also just as critical as eating to much. It all has it's place. Follow me for more recipe’s and tips to a cleaner greener YOU! Although usually used as a garnish on entrées, the addition of parsley to a green smoothie is a smart decision. Parsley contains unique volatile oils such as myristicin, limonene, eugenol, and alpha-thujene. 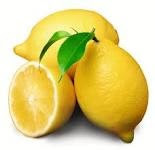 The volatile oils, especially myristicin have been shown to inhibit tumor formation, especially in the lungs, as published in the Journal of Agricultural and Food Chemistry. 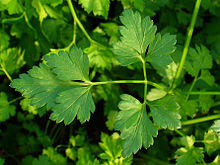 Flavonoids such as luteolin are present in parsley and serve as anti-oxidants. 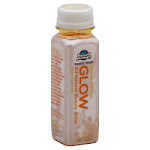 They help by combining with highly reactive oxygen radicals and help prevent oxygen-based damage to cells. Adding parsley to a green smoothie made in the Vitamix 5200 will add flavor and may even help reduce the risk of cancer. The bonus is, your breath will be fresh! for an excellent source of calcium, which helps to maintain the strength and density of bones and may also help prevent osteoporosis. Famous for being the secret to Popeye’s legendary strength, spinach is truly a nutritional powerhouse—and perfect for green smoothies. A Harvard University study found that women who ate spinach more than five times a week had a 47 percent decrease in risk of cataract surgery compared with those who ate spinach less than once a month. Lutein, found in spinach, may also benefit eye health by reducing the risk of macular degeneration, according to the American Macular Degeneration Foundation. Vitamin A and vitamin K are two of the prevalent vitamins in spinach and they are known to help regulate blood flow, maintain bone health, preserve cell health and help the cells in the body grown normally. Lettuce, like kale, is a low calorie green packed full of nutrients. Lettuce aids digestion and promotes liver health. 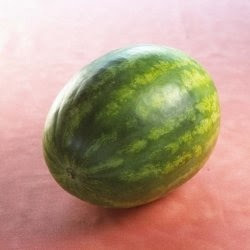 It may also reduce the risk of heart disease, stroke and cataracts and may ease nervous insomnia. 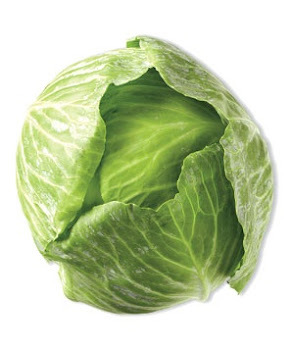 Lettuce is a good source of folate which is known to reduce neural tube defects such as spina bifida. The Spina Bifida Assocation of South Australia says the incidence of spina bifida could be reduced up to 70% by getting enough folate before and during the first 3 months of pregnancy. Lettuce is also a good source of iron and vitamin C and according to the National Heart, Lung and Blood Institute, lettuce may help to fight anemia. Kale is a form of cabbage and related to broccoli, cauliflower and Brussels sprouts. 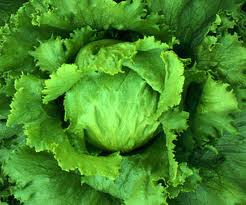 It is very low in calories and contains more nutrients than most other greens. Kale is an excellent source of vitamin K, which is essential for bone and blood health, and helps by mediating coagulation and anticoagulation. Sulforaphane is a chemical found in kale and also sprouts and broccoli. A study published in Drug Discovery Today found that sulforaphane may help stop breast cancer cells from growing. The University of Texas conducted a study and found that a diet rich in kale may prevent bladder cancer by up to 29%. Kale may also help ovarian cancer too. The Nurse’s Health Study observed that women whose diets provided the most kaempferol, a flavonoid found in kale, had a 40% reduction in risk of ovarian cancer. By supplying the body with plenty of calcium, copper and manganese, kale may help absorb iron and prevent bone loss. 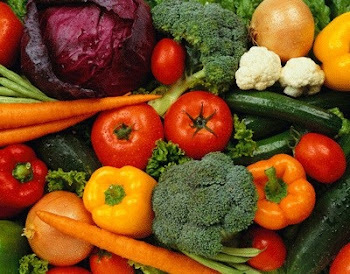 According to U.S. News and World Report titled attend “The Mainstreaming of Vegan Diets,” many leading nutritionist are now embracing vegetarian eating as “the most healthy way to live” for most people. The Medical Journal Nutritionist, Metabolism and Cardiovascular diseases recently reported that vegans have a 70 percent reduced risk for developing type 2 diabetes. Similarly, according to Stroke magazine, women reduce their risk of stroke by 17 percent by eating more veggies, fruits, and whole grains. 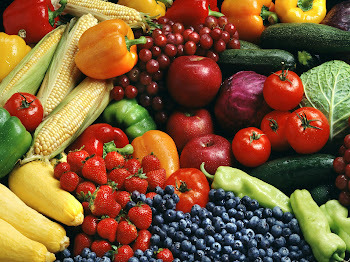 It’s been concluded in Time Magazine that diet rich in vegetable and fruits can decrease the risk of heart disease. Eating fruits and vegetable more is not about becoming a certain class or group, it’s not only for your heart, but it’s a lifestyle. A few weeks ago I had the awesome opportunity to attend “The Seed: A Vegan Experience” in New York with a special presentation by Joel Furman the infamous author of Eat to Live. The event was open to people wanted to improve their health and overall wellbeing by obtaining information on the countless benefits of plant-based existence. We were able to attend mix and mingle with fellow-conscious individuals, animal advocates, environmentalist and individuals who are interested in just expanding their knowledge while perusing the 80 vendors who were in attendance. There was so much to see and experience. Got a dozen or a pint of egg white on hand? As an athlete you should. Routinely eating eggs affords you amazing health benefits. Here are five reasons to crack open one. In study, dieters who had eggs/egg whites for breakfast achieved a 60 percent greater weight loss compared to those who had begun their day with a calorie-equivalent bagel or a bowl of cereal. Researchers theorized the quality protein in the eggs (13 percent of the Daily Value) helps control appetite. What’s more, the egg protein is easy for your body to absorb, which makes it a good muscle-repair food after a long run or intense workout. Numerous studies have debunked the link between eggs and heart disease. In fact, research shows that eating several eggs a week result in cholesterol particles that are less likely to spell cardiac troubles. What’s more, a unique protein found in the egg yolks blocks platelets (the cell responsible for blood clots) from clumping together inside blood vessels, thereby minimizing heart-attack risk. Whole eggs are one of the best sources of the nutrient choline (one large 30 percent of your daily value, most in the yolk). Besides having a key role in the brain health, choline helps keep the body’s circulatory system of compounds that would otherwise cause inflammation, which can lead to disorders ranging from muscle swelling after a hard workout to diabetes and Alzheimer’s clear disease. Eggs are one of the few natural sources of bone-building vitamin D. One egg supplies 10 percent of’ the Daily Value. Brands like Eggland’s Best, Whole Foods have double the amount. Yolks contain the pigment lutein, which helps prevent age-related macular degeneration (a leading form of blindness). 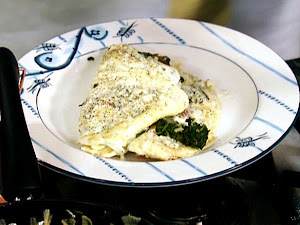 And while spinach and other greens contain higher amounts of lutein, eggs provide a more absorbable form. What is Nutrition? Why is Nutrition Important? 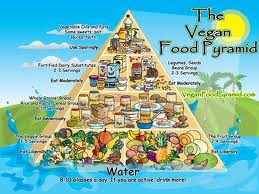 Nutrition, nourishment, energy, or ailment, is the supply of materials – food – required by organisms and cells to stay alive. In science and human medicine, nutrition is the science or practice of consuming and utilizing foods. As molecular biology, biochemistry and genetics advance, nutrition has become more focused on the steps of biochemical sequences through which substances inside us and other living organisms and transformed from one form to another – metabolism and metabolic pathways. Nutrition also focuses on how diseases, conditions and problems can be prevented or lessened with a healthy diet. Nutrition also involves identifying how certain diseases, conditions or problems may be caused by dietary factors, such as poor diet (malnutrition), food allergies, metabolic diseases, etc. A dietician studies dietetics, while a nutritionist studies nutrition. The two terms are often interchangeable, however they are not, 100% identical. • Dietetics: the interpretation and communication of the science of nutrition so that people can make informed and practical choices about food and lifestyle, in both health and disease. Part of a dietician’s course includes both hospital and community settings. The majority of dieticians work in health care, education and research, while a much smaller portion also work in the food industry. • Nutrition: the study of nutrients in food, how the body uses the nutrients, and the relationship between diet, health and disease. Major food manufacturers employ nutritionist and food scientists. Nutritionist may also work in journalism, education and research. Many nutritionists work in the field of food science and technology. Exercise Nutritionist work in the field of Exercise, Fitness and Sports. Nutritionist are a great source to use for developing a recommended Meal Plan based on your lifestyle and the foods you love. There is a lot of overlap between what a nutritionist and dieticians do and studied. Some nutritionists work in the healthcare industry, some dieticians work in the food industry, but a higher percentage of nutritionist work in the fitness, food science and technology industry. For more information of a recommended Meal Plan to fit your lifestyle - Contact amjones@livinglifegolden.com or 1.800.613.7103. I am a Physical Exercise Nutritionist. Th.is Journal Entry to allow you to understand why I do what I do and to help you understand how I can help you. Consultations are $155.00 for the first visit and each reoccurring appointment is $55.00. Each appointment must be cancelled 12hours in advance to avoid cancellation fee. Please contact me at amjones@livinglifegolden.com to for an appointment 1.800.616.7103 and/or for more informaton. 1. Eat a variety of seafood – Include some that are higher in omega-3s and lower in mercury, such as salmon, trout, oysters, Atlantic and Pacific mackerel, herring and sardines. 2. Keep it lean and flavorful – Try grilling, broiling, roasting, or baking – they don’t add extra fat. Avoid breading or frying seafood and creamy sauces, which add calories and fat. Using spices or herbs, such as dill, chili powder, paprika or cumin, and lemon or lime juice, can add flavor without adding salt. 3. Shellfish counts too! - Oysters, mussel, clams, and calamari (squid) all supply healthy omega-3s. Try mussels marinara, oyster stew, steamed clams, or pasta with calamari. 4. Keep seafood on hand – Canned seafood, such as canned salmon, tuna or sardines, is quick and easy to use. Canned white tuna is higher in omega-3s, but canned “light” tuna is lower in mercury. 5. Cook it safely – Check oysters, mussels, and clams before cooking. If shells don’t clamp shut when you tap them, throw them away. After cooking, also toss any that didn’t open. This means that they may not be safe to eat. Cook shrimp, lobster, and scallops until they are opaque (milky white). Cook fish to 145 degrees, until it flakes with a fork. 6. Get creative with seafood – Think beyond the fish fillet. Try salmon patties, a shrimp stir-fry, frilled fish tacos, or clams with whole-wheat pasta. Add variety by trying a new fish such as grilled Atlantic of Pacific mackerel, herring on a salad or oven-baked Pollock. 7. Put it on a salad or in a sandwich – Top a salad with grilled scallops, shrimp, or crab in place of steak or chicken. Use canned tuna or salmon for sandwiches in place of deli meats, which often are higher in sodium. 8. Shop smart – Eating more seafood does not have to be expensive. Whiting, tilapia, sardines, canned tuna, and some frozen seafood are usually lower cost options. Check the local newspaper, online, and at the store for sales, coupons, and specials to help save money on seafood. 9. Grow up healthy with seafood – Omega-3s fat from seafood can help improve nervous system development in infants and children. Serve seafood to children twice a week in portions appropriate for their age and appetite. A variety of seafood lower in mercury should also be part of a healthy diet for women who are pregnant or breastfeeding. 10. 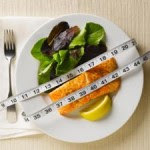 Know your seafood portions – To get 8 ounces of seafood a week, use these as guides: A drained can of tuna is about 3 to 4 ounces, a salmon steak ranges from 4 to 6 ounces, and 1 small trout is about 3 ounces. Virgina started her day with a Coke on ice and sat a “fresh one” on her bed stand each night for more than a decade. She carried one with her, wherever she went, all day, every day. Virginia, was truly addicted to Coke. Wouldn’t you agree? And it’s not just the Cokes. It’s a slippery slope…that are included like the cookies, the donuts, snickers and other sweets. Giving it up would be very hard. Virginia, could definitely use some help. 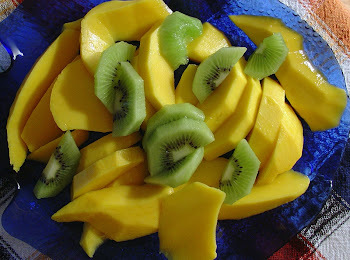 Go Natural: Keep your total sugar intake to 60 to 70 grams per day, with most coming from natural sources such as fruit. An orange, for example, has 12 to 15 grams of sugar. Eat, not drink: Choose fruit, which has fiber, over fruit juice. Limit your intake of juice to 4 ounces per day. Eat the fruit instead. Get to reading: Read and compare nutrition labels. Look for low sugar and no sugar. Sub it out: Look for substitutes to high-sugar products. For example, try plain yogurt with only 4 grams of natural sugar. 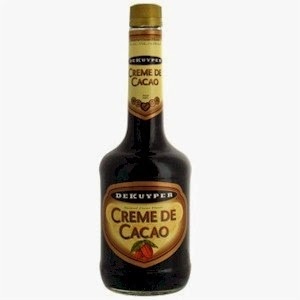 Mix it with a bit of vanilla and cinnamon to cut the tartness. Make fresh almond or walnut butter – many stores now have a machine that blends the nuts into a smooth spread for you. Shop the edges: Fill most of your grocery cart with foods found on the perimeter of the store. 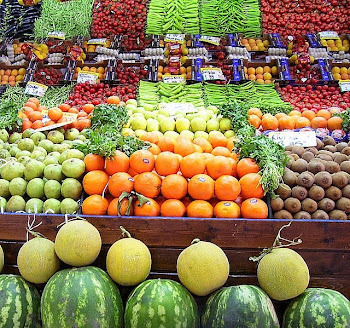 It’s where you will find fresh fruits and vegetables, lean meats and dairy products. Make it yourself: Limit the number of prepared foods. The fewer products with labels in your cart, the better. Good morning, thank you to all whom i've received information as to why i've not been blogging. So much has happened that kept me from you, however it doesn't mean you weren't on my mind. 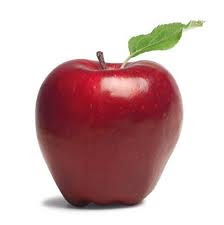 I started teaching a Nutrition Program for school age children at a Private Independent School District and getting back into to Corporate Wellness Programs. I've been busy establishing my company and building my business. "I'm loving it". I promise you will be hearing from me going forward at least once a week until i can get caught up. I have so much material to share.